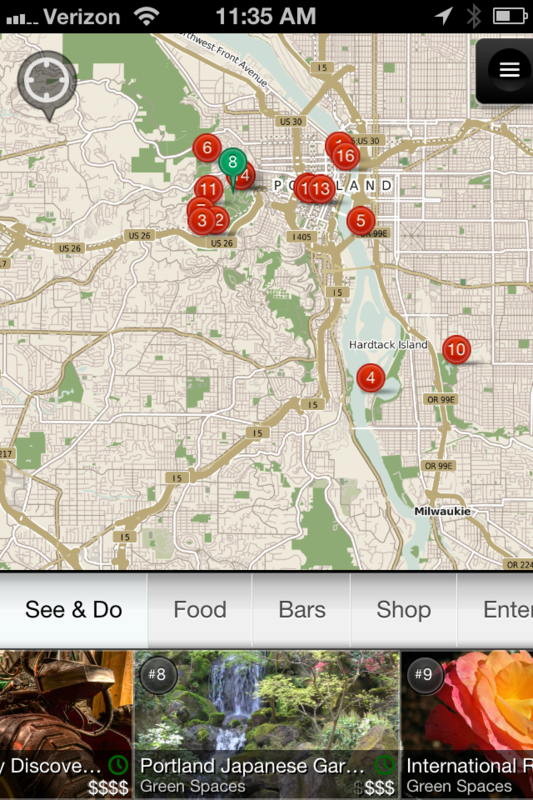 The #1 FREE way for travelers to find the best places to see, eat, shop, and drink in Portland! We’ve got over a thousand amazing places that have received high marks from travel guides and travelers alike. We run these places through our ferocious squad of Portland locals to make sure we haven’t missed anything and to cleanse our list of places that are overrun by tourists... And we serve it up to you, dear traveler, with rockin’ offline maps, useful information, & beautiful photos. • All content is OFFLINE. Info and maps are lightning-fast whether you’re on a plane, in the woods, or in a 3G dead zone. 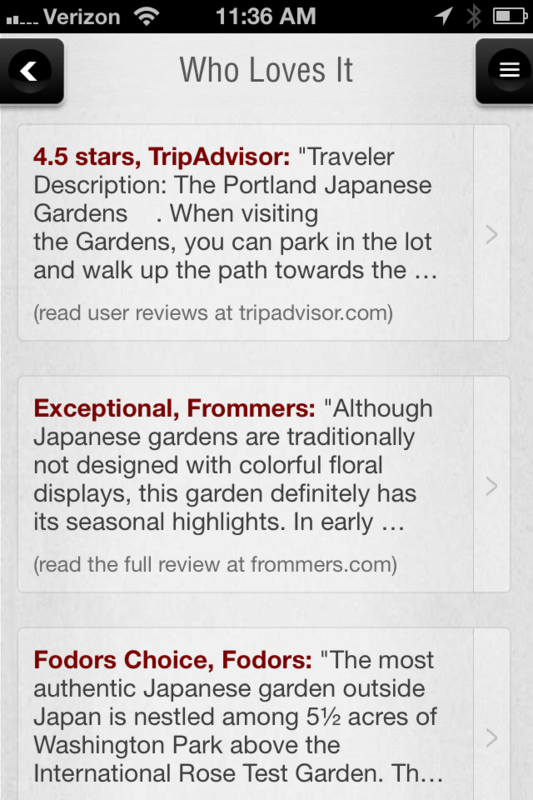 • Over a thousand great places to see, eat, shop, and drink, all endorsed by guides, travelers *AND* locals. 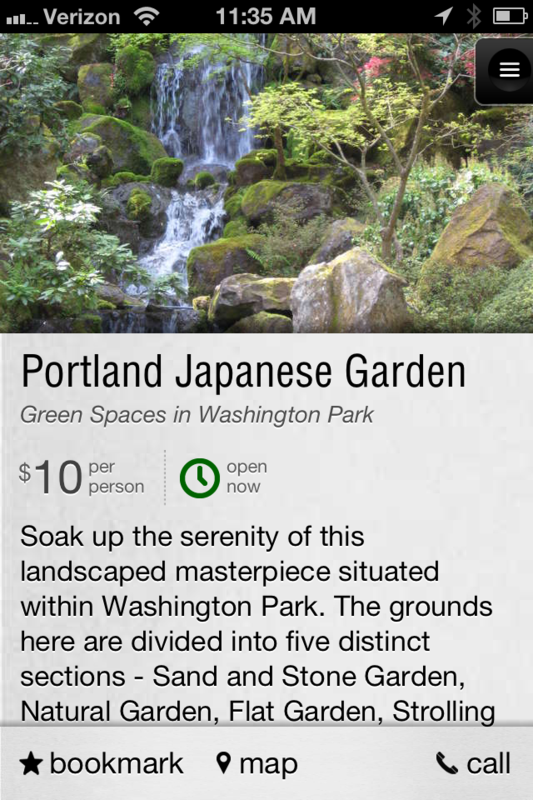 That’s 2-3x more than the other Portland travel guides AND it’s totally free. • Stunning photography - get a sense of where you’re going before you go there. • Beautiful maps and fully functional GPS - know where you are, where you’re going, and what’s nearby-- no cellular coverage required! • Easily personalized - save the places that you find that look interesting for easy access later on in your trip. New and updated places available offline. Minor performance tweaks and bug fixes.